Company Mission: Glowpoint's mission is to provide cloud managed video services that make delivery of consistently high-quality videoconferencing and telepresence service as simple as the Internet, between any endpoint, network and business. Glowpoint provides cloud managed video services that make delivery of consistently high-quality video conferencing and telepresence service as simple as the Internet, between any endpoint, network and business. 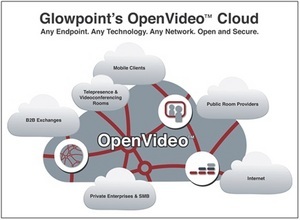 Using our OpenVideo(TM) cloud architecture, Glowpoint enables organizations of all sizes to adopt business-class video easily, scale instantly and collaborate openly, yet securely across technology boundaries - to realize the full value of visual communications. Glowpoint recognizes that successful, consistent service delivery of video communications is a direct result of combining qualified people, proven processes, and reliable technologies. Since inception, Glowpoint has established a diverse client roster, including Fortune 100 companies, educational institutions, governments, healthcare providers, business service providers, and nonâ€profit organizations. Today, Glowpoint supports hundreds of clients located in 68 countries and is the trusted managed service partner for leading unified communications providers, telepresence manufacturers, global carriers and A/V integration firms. Glowpoint manages thousands of telepresence and videoconferencing rooms, produces hundreds of thousands video conferences annually, and has enabled millions of minutes of inter-company video calling via our business-to-business (B2B) exchange. Any Endpoint. Any Technology. Any Network. Open and Secure. The OpenVideo(TM) cloud sets Glowpoint apart from other managed services providers, providing the capability to connect millions of video users from anywhere, across any network, in an open and secure environment. Endpoint Agnostic: We can provide services for the broadest range of multi-screen, conference room, desktop, and mobile videoconferencing solutions from all of the leading manufacturers - including Cisco, Polycom, LifeSize, and Avaya. Network Neutral: OpenVideo(TM) is designed to interconnect disparate networks regardless of carriers to provide secure, reliable video experiences and the highest quality managed services. Open and Secure: Our cloud supports all of the standard video signaling protocols, such as SIP, H.323, or ISDN, as well as codec technologies including H.264 or SVC. 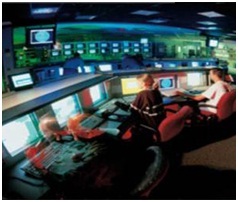 We also employ the highest levels of security, including encryption. Flexible: We can provide fully hosted managed services from our cloud, including management of your on-premise infrastructure and video endpoints, or support a hybrid cloud-managed environment. Let us customize a solution that is right for you. Glowpoint offers the most complete, flexible portfolio of remote monitoring & management services available from any video managed services provider on the market today. We provide end-to-end cloud managed services for telepresence, conference room, desktop, mobile solutions, and video infrastructure. We have a team of video experts utilizing the latest in remote management technologies, with Video Network Operations Centers (VNOCs) and Points-of-Presence (PoPs) all over the world. We offer a complete portfolio of remote monitoring & management services that can help you make video more widely available, improve up-time, drive higher usage, off-load your IT team, or all of the above. Our service packages can be customized to suit the needs of your business, whether for a large enterprise, small or medium sized business. 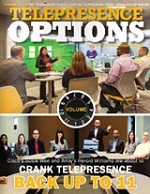 Glowpoint's Video Collaboration Services, hosted via the OpenVideo(TM) cloud, are designed to connect video users all over the world whether they are on immersive telepresence, conference room, desktop or mobile devices. Virtual Video Room: The Virtual Video Room (VVR) is a fully cloud hosted service for on-demand, ad-hoc, high-definition videoconferencing. The VVR allows enterprise, small or medium businesses to easily adopt video and provide users with a simple, reliable way to collaborate visually using virtually any SIP, H.323 or ISDN based video solution. 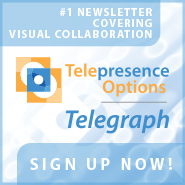 The VVR is delivered via Glowpoint's OpenVideo(TM) cloud, enabling seamless video collaboration across disparate networks and between the widest range of video solutions, including immersive telepresence systems, conference rooms, desktops, and mobile devices. Video Bridging Services: Glowpoint offers a complete set of Video Bridging Services to solve your interoperability and business-to-business (B2B) challenges, and ensure that your videoconferencing meetings are always productive. Manage your meetings, including scheduling, conference production and concierge services utilizing our cloud, your on-premise infrastructure, or a combination of both. Glowpoint's Video Bridging Services are included with our Premium Remote Management Services package or can be purchased separately on-demand. Webcasting Services: Glowpoint's webcasting service lets you create and deliver impactful video presentations with rich media and broadcast them to literally thousands of viewers cost-effectively via the public internet, your corporate network or via Glowpoint's private and secure overlay network. Our webcasting service is perfect for events such as quarterly company 'all hands' meetings, sales training and press conferences. Participants can view and interact with presenters from their desktop, laptop, or mobile devices - wherever they are. Broadcast Services: Glowpoint provides IP-based broadcast solutions for leading sports broadcasters, sports leagues, news outlets, cable stations, and collegiate conferences - including professional football and basketball drafts, Comcast's Mountain West Sports Network and the NFL Network. Our "always-on," managed service and exclusive video-network exchange service reduces transport costs and program operations by up to 80% in comparison with traditional satellite feeds and associated operations. We enable ultra-clean HD- and SD-interactive broadcasts, provide real-time communications, and two-up capability for live-to-air and live-to-web broadcasts, all delivered through proactively maintained flexible solutions. Glowpoint's Business to Business (B2B) Video Exchange Services let you use video to reach outside of your business and collaborate more effectively with key partners and customers. Our B2B Exchange Services securely interconnect disparate networks and immersive telepresence and videoconferencing systems, to deliver seamless video communications between all platforms and business networks around the world. Connect with More Partners and Customers: Glowpoint operates the world's largest multi-vendor global business to business video exchange, with nearly 600 companies directly connected or registered to date. Use the Widest Range of Telepresence and Videoconferencing Solutions: Unlike competing video exchange services, we are video system manufacturer neutral. We support B2B calling between immersive telepresence, conference room, and desktop systems from all of the leading manufacturers - including Cisco, Polycom, LifeSize and Avaya. 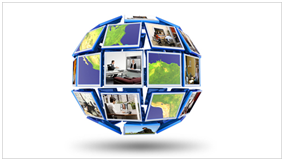 Go Global with B2B Video Collaboration: We have exchange nodes in the US, Europe, and Asia Pacific. We also connect to exchanges operated by other service providers, to deliver the maximum global reach. Consistent, Secure Experience Globally: Video calls across the Glowpoint exchange include QoS, and a layered security approach, as well as network performance monitoring - all backed up by a guaranteed SLA.